My idea of a really good day is getting things done. 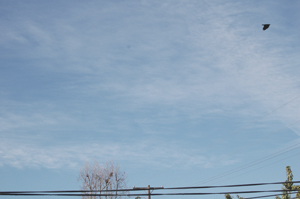 Winter solstice has passed and we are finally getting more daytime light. 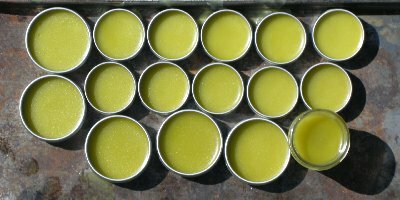 This weekend I managed my usual weekend laundry, garden weeding and did a small woad vat. 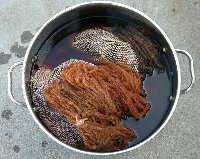 I’ve been working on onion baths, first one for the darker color – tangerine-orange – and exhaust the remaining dye for lighter yellow. [The pinkish-orange was my previously mentioned cactus fruit attempt. I’ve tried 1:1 (fiber:dye stuff) but have found that 1:.5) works well too even if I have to let it sit longer. First bath simmers for an hour, sits over night and then the 2nd exhaust bath is another hour of simmering and again cooling over night. 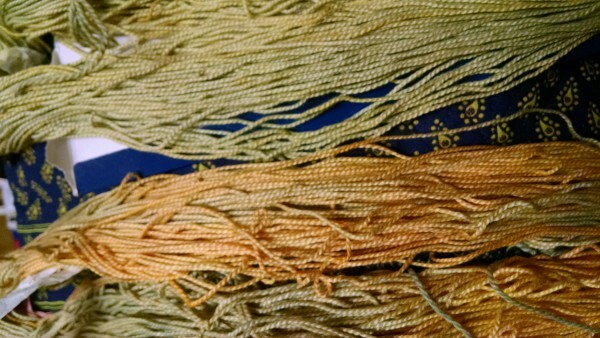 Not the most exotic sounding dye material but don’t underestimate the onions or the onion skin. 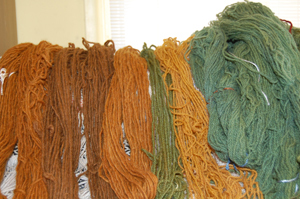 For me it has been a reliable, versatile dye that I can use on both protein and plant fiber. 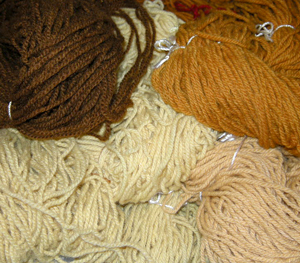 So far I’ve dyed wool, cotton, and soy silk. 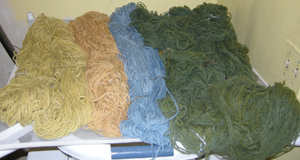 Above, pre-alumed wool dyed with onion skins. 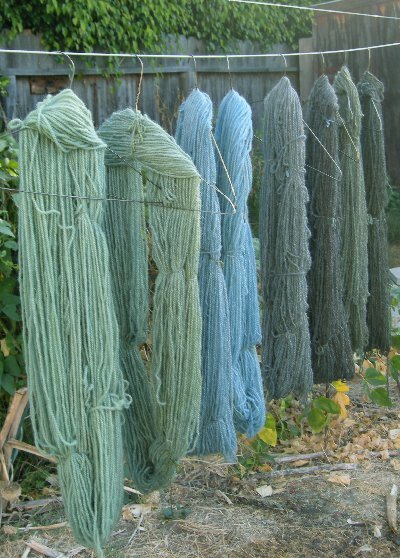 The green is indigo over-dyed in the same batch. 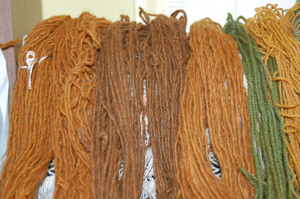 The plant:fiber ratio was .5:1 but I believe that I could have used considerably less dye stuff. 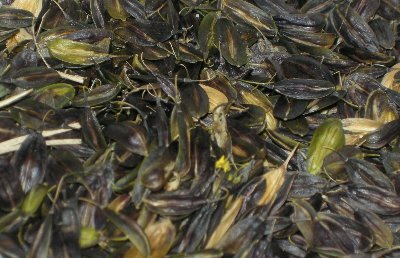 The onion skins and fiber had been simmered for an hour and left to soak over night. 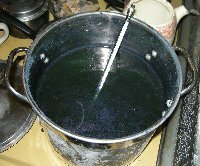 The next day the dye still wasn’t exhausted so I over-dyed some previously indigo-dyed wool. 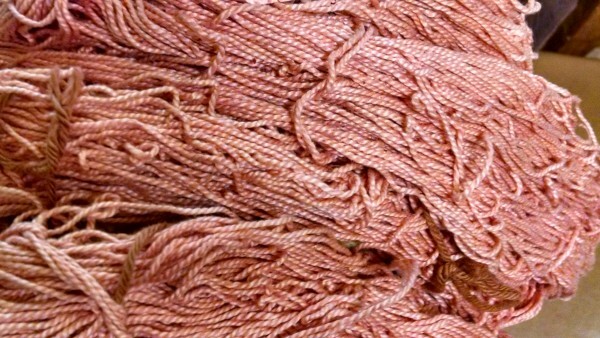 Copper and Iron after-baths darkened the color but ended up with similar shades. The Ammonia after-bath brightened a bit. Onion skins are easy to save up and store. When I am shopping produce I sometimes tidy up around the onion bin.